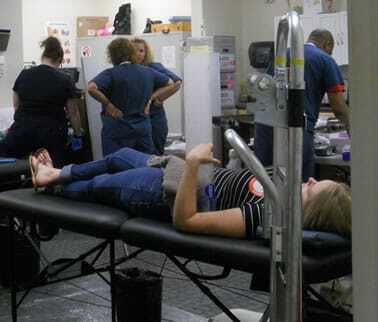 NTI Bangor held an American Red Cross Blood Donor Drive in June. Our clinical class participated in the event by helping to organize the event, and the class was able to see how a blood drive works. Thank you for all that participated. It was a huge success. Stay tuned for the date for the upcoming Blood Drive. Shawn Crowley, a graduate of NTIin 2014 and currently a medical coder for Eastern Maine Medical Center (EMCC), will lecture on CPC exam prep on July 14 and July 21. Sean has been working as a Coder since he graduated. He has taken his CPC exam and passed and also trained in ICD 10. We are excited to have him here to discuss his experiences and share is knowledge as a Coder.